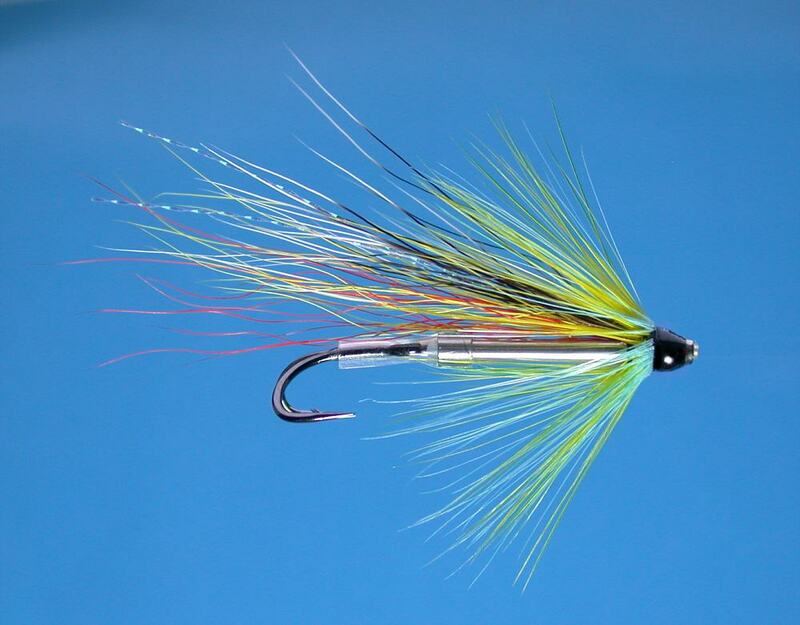 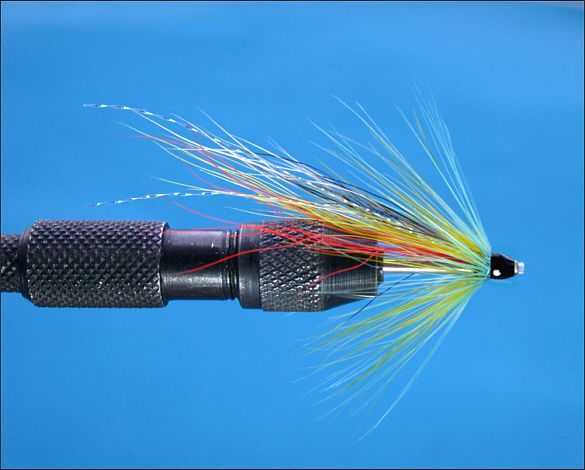 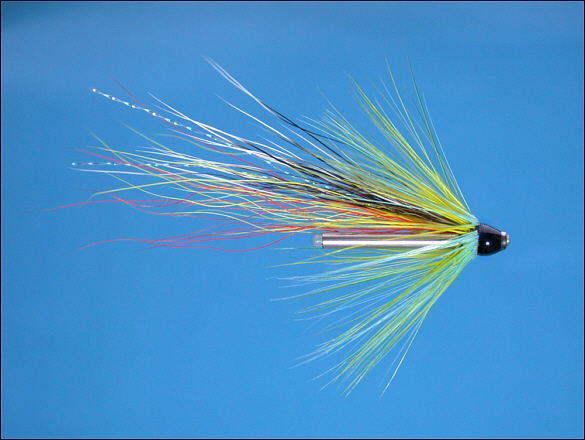 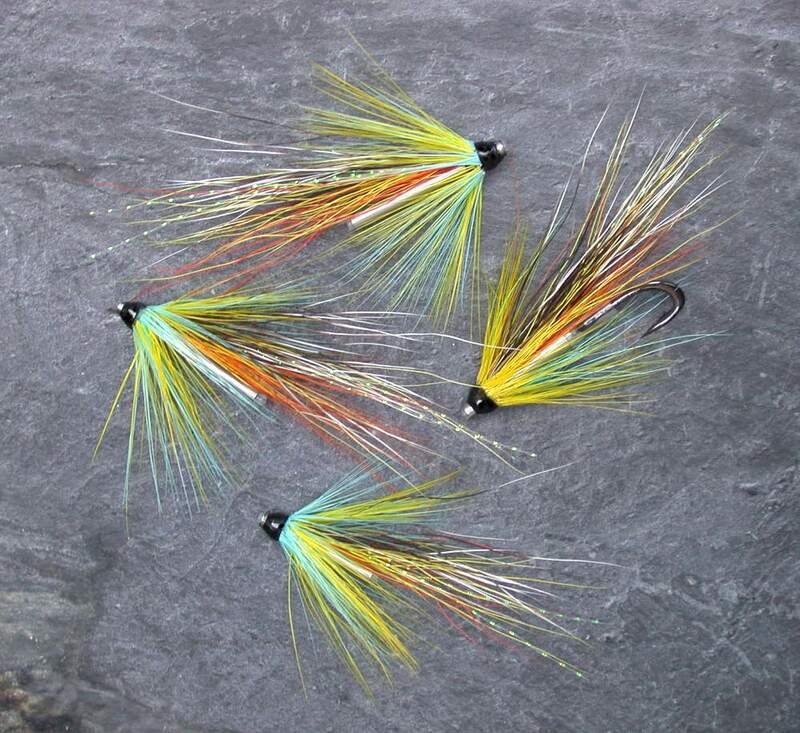 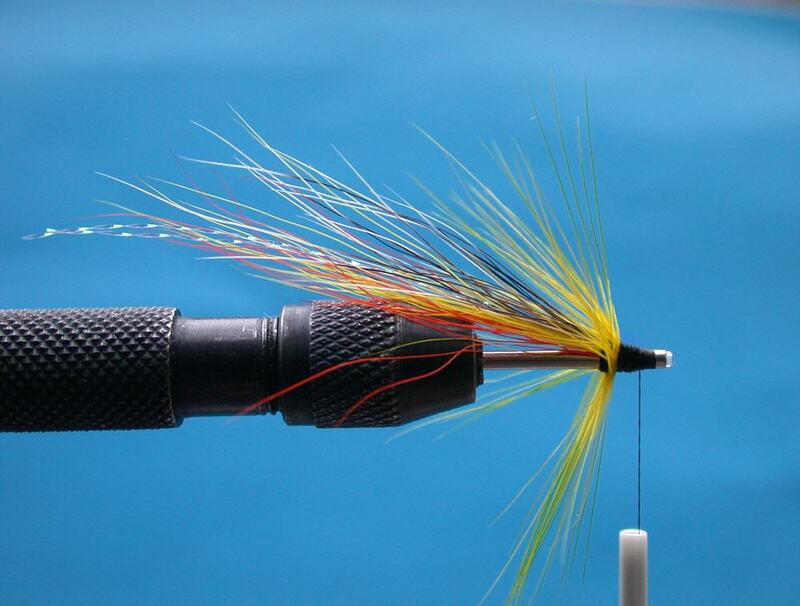 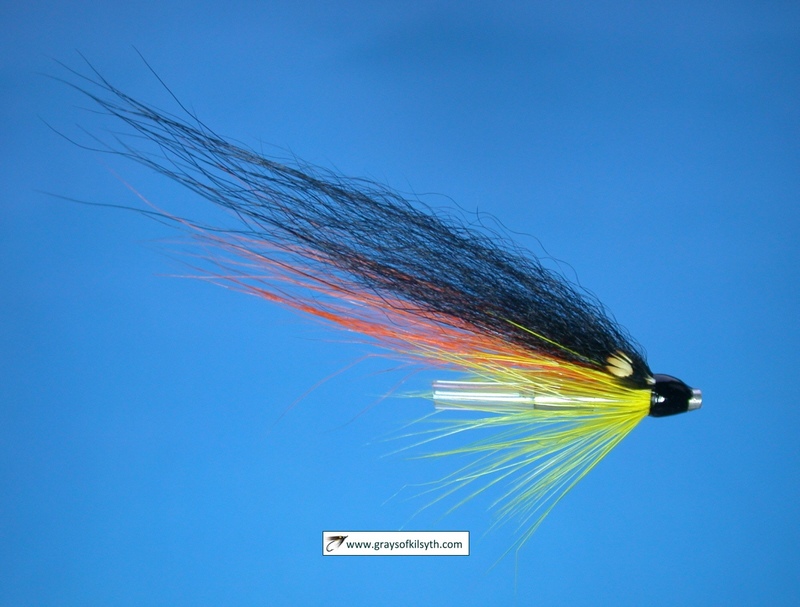 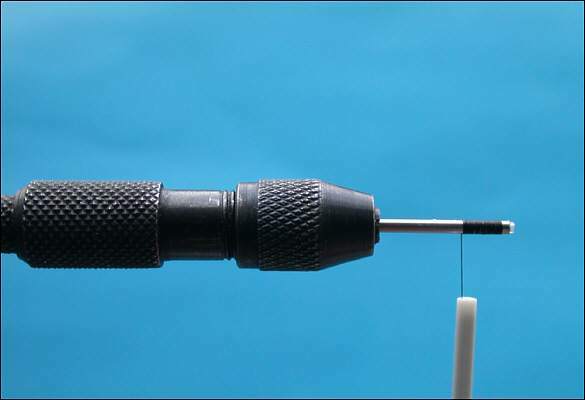 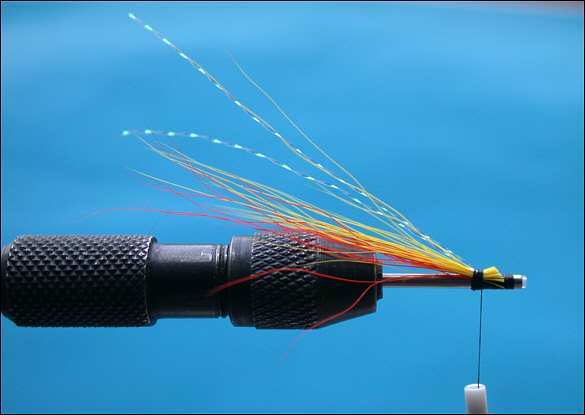 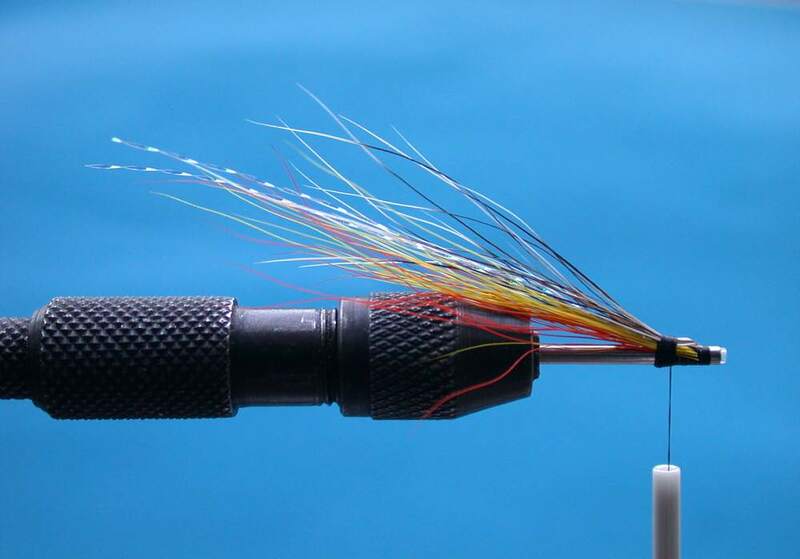 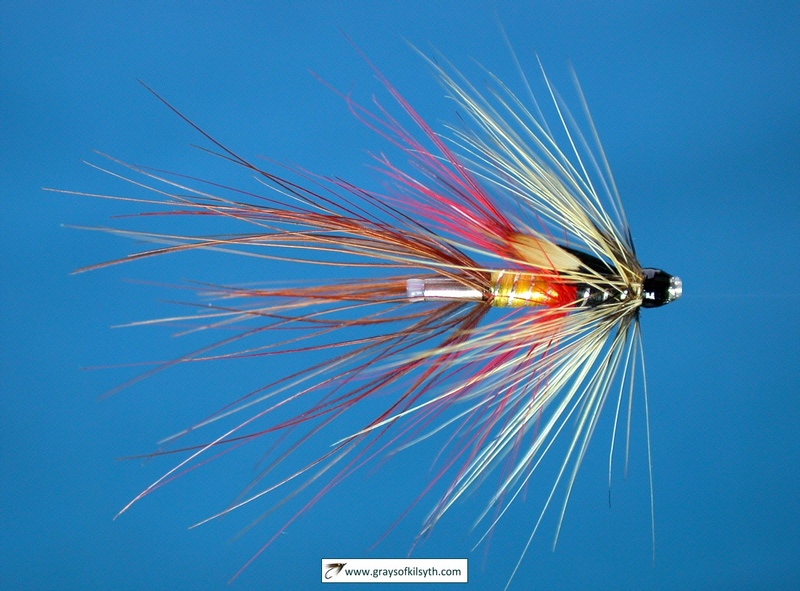 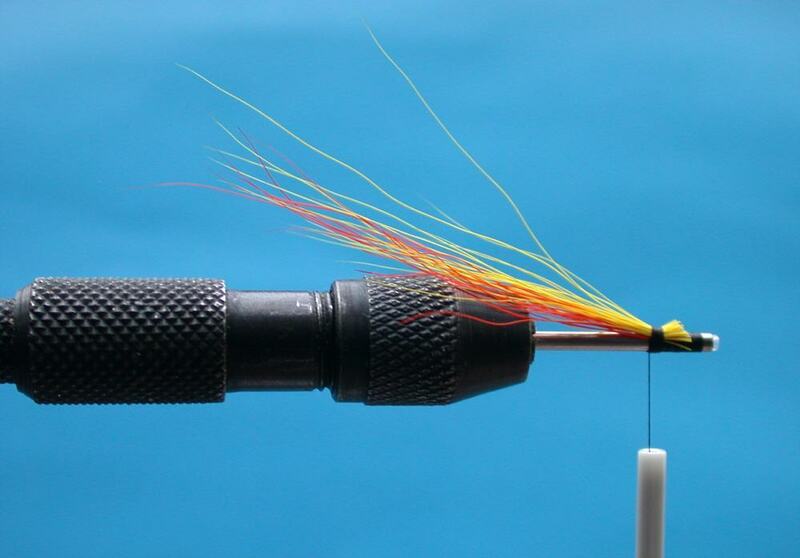 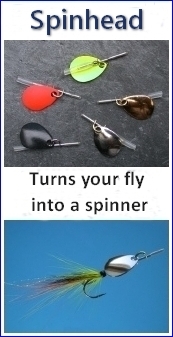 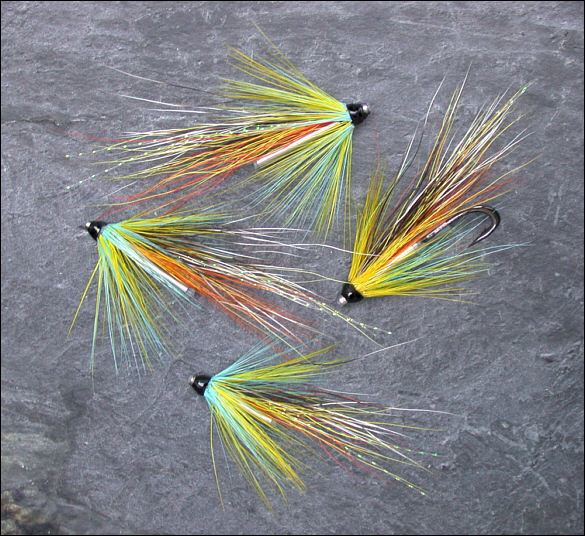 Below is a step-by-step tying sequence of a variant of the famous Irish salmon fly, the Beltra Badger, in this instance a tube fly dressed on a fine stainless steel needle tube. 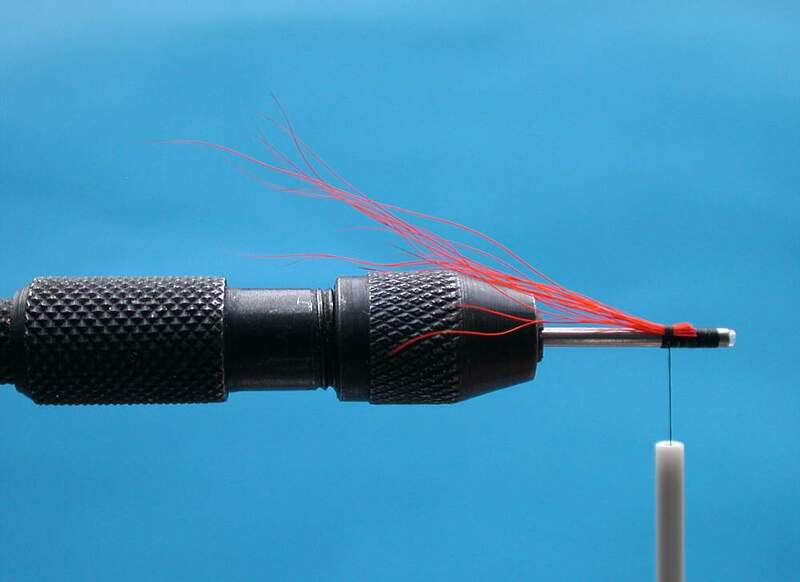 Loosely based on the original tying of the Beltra Badger salmon fly, this variant has been dressed in line with the modern style of long tailed shrimp flies such as Ally Gowans's famous Cascade salmon fly. 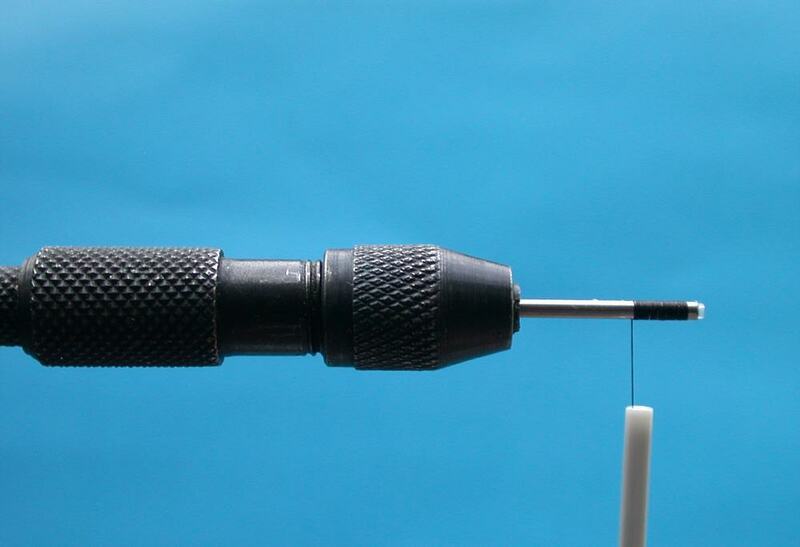 Step 1 - Place needle tube in tube fly vice and wind a bed of black tying thread about one quarter of the way along. 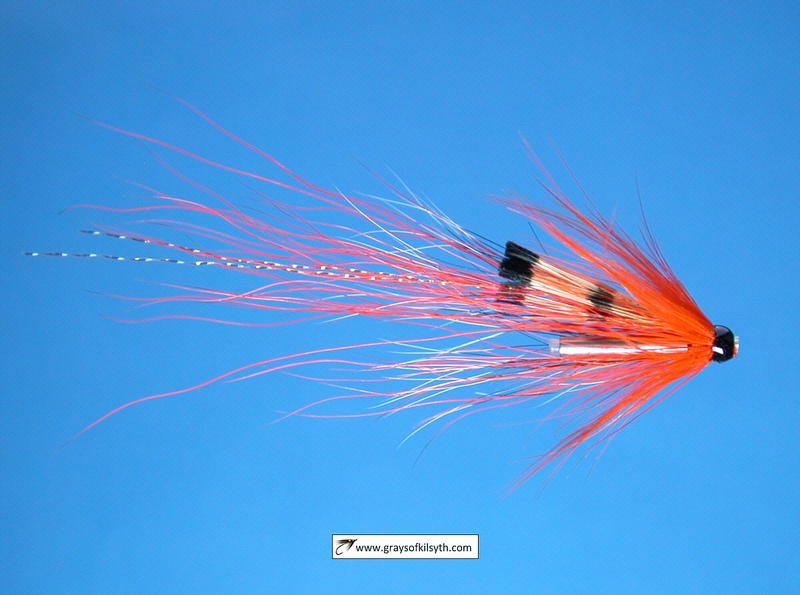 Step 2 - Tie in a sparse bunch of orange bucktail. 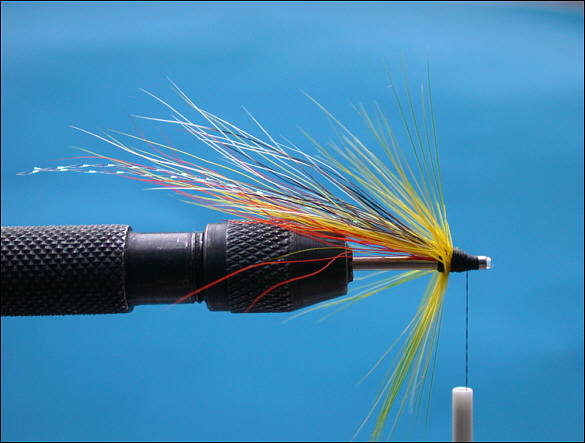 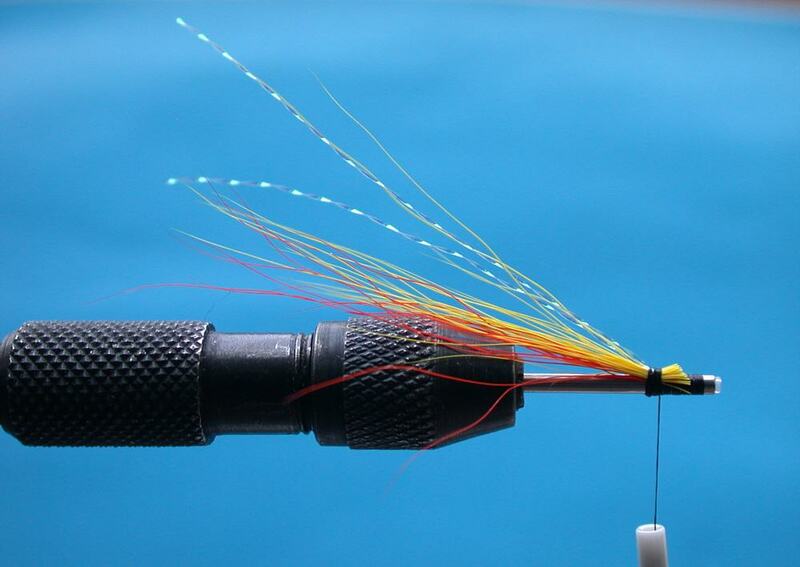 Step 3 - Tie in a sparse bunch of yellow bucktail on top of the orange. Step 4 - Tie in a doubled strand of pearl Krystal Flash. Step 5 - Tie in an overwing of natural badger hair, slightly shorter than the bucktail. 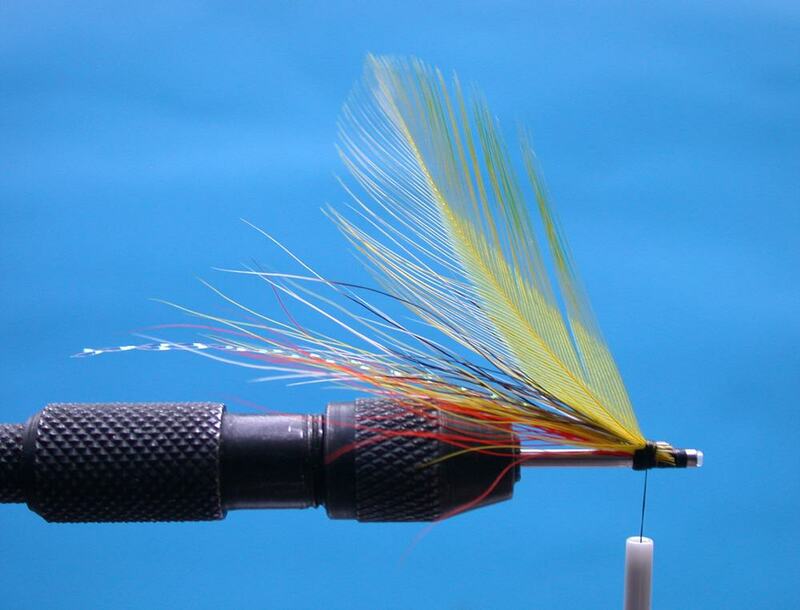 Step 6 - Tie in a yellow hackle. 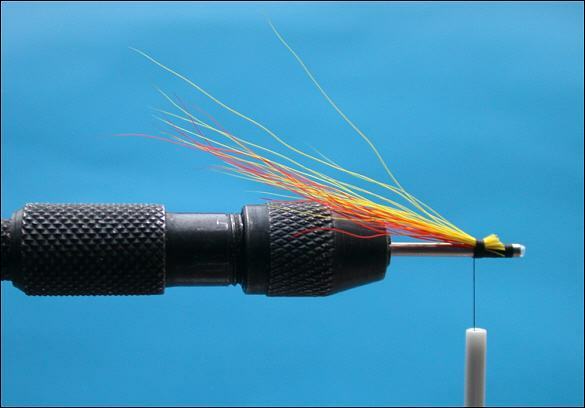 Step 7 - Wind three turns of the yellow hackle. 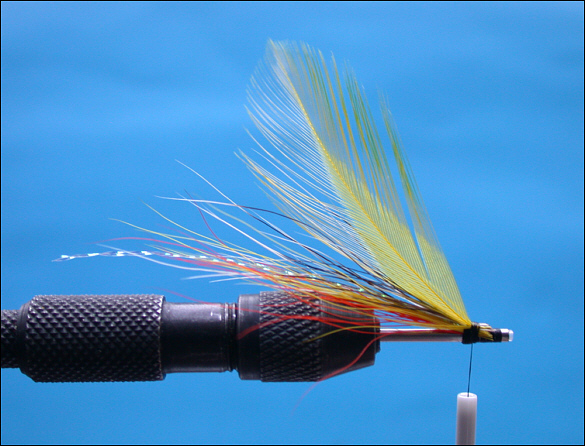 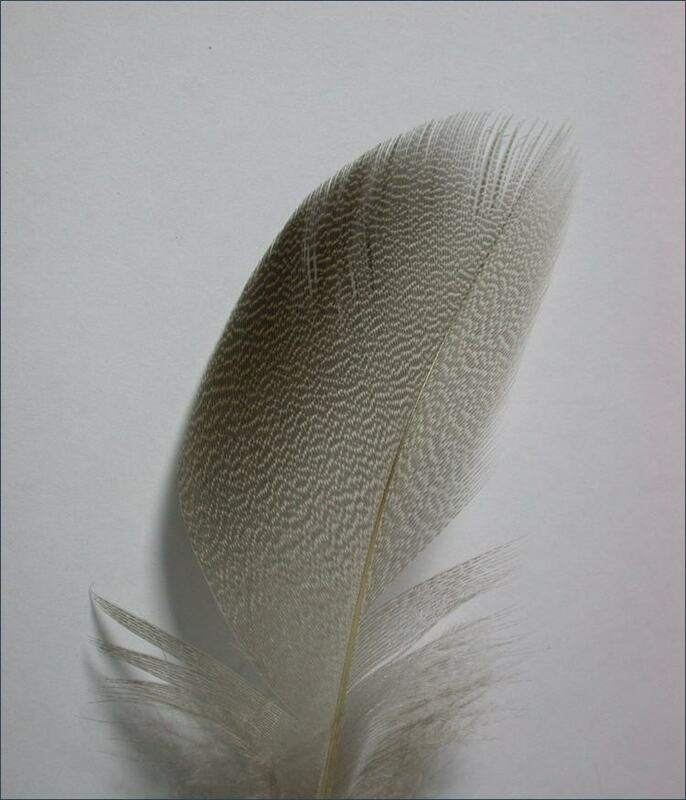 Step 8 - Wind two or three turns of blue hackle in front of the yellow, form a neat head and varnish.